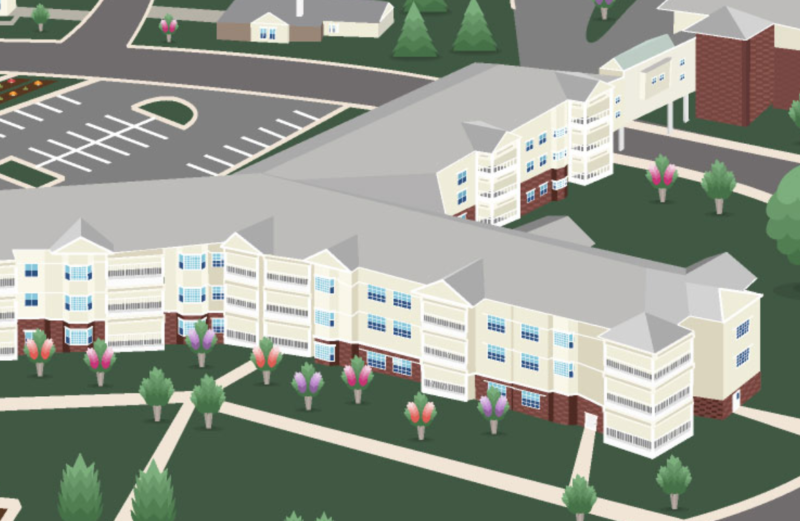 Manor West is where many residents in independent living call home, featuring one and two-bedroom apartments with larger floor plans up to 1,300 square feet; all homes in Manor West include a porch or balcony. Numerous social and planned activities use Multipurpose room, located nearby in the Manor. On Sundays, its stained-glass windows serve the weekly non-denominational worship service. Enjoy daily newspapers and the latest best-sellers and movies from the resident-run Library, just a short walk from Manor West homes. In the same building, Centerpointe includes a fitness studio, gym, day spa, and an 80-foot, heated indoor saltwater pool.